​If you’ve never heard of mudjacking before, then you’d be surprised how useful this process can truly be for repairing collapsed patios, walkways, concrete steps, driveways, etc. Read on and learn more about how it works and why professional intervention is recommended instead of a more precarious DIY route. Mudjacking basically involves pumping “mud” underneath sunken concrete slabs to fill up the empty space, add pressure to lift these pieces up and restore their original stable position and level. This “mud” is usually a combination of soil, water, and cement, or some other alternative mixture such as crushed agricultural limestone. After injecting, it’s only a matter of time before it solidifies, serving as a more permanent and stable filler to keep otherwise uneven or wobbly concrete slabs even-leveled and safe. 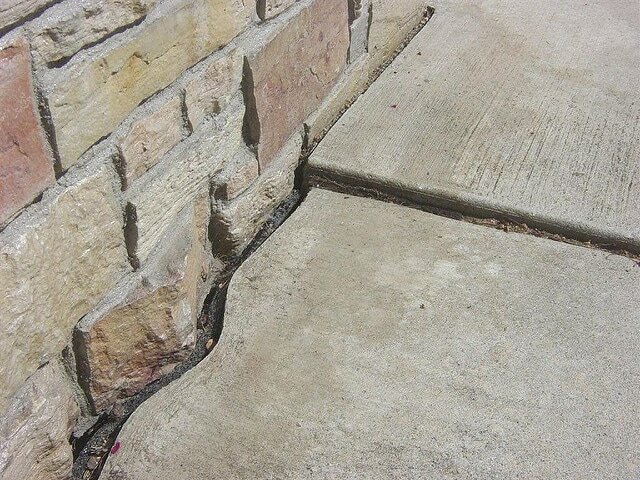 Cracked, collapsed or uneven surfaces and steps are not only an eyesore; they also pose a tripping hazard. Mudjacking provides a relatively quick, easy and cost-effective solution to repair such anomalies and keep accidents and drainage issues at bay. Through this specialized technique, safety and financial convenience are guaranteed. The existing concrete does not need to be removed. Simply by void filling and lifting concrete back to its stable state, you don’t have to unnecessarily spend more time and money on replacing an entire slab altogether. 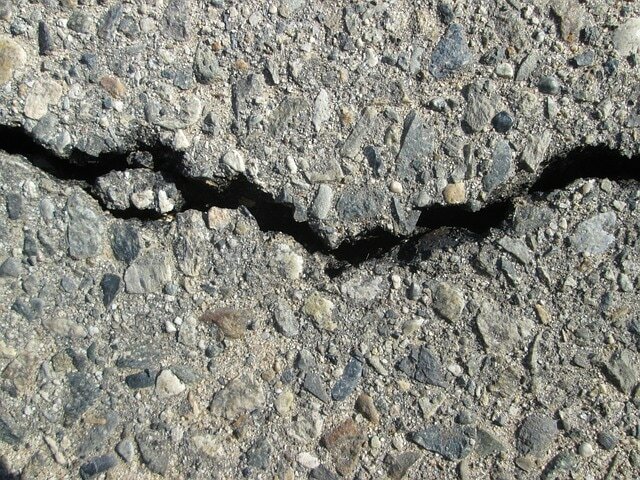 It can be costly and time-consuming to remove and replace uneven, cracked or sunken concrete. With mudjacking, on the other hand, it’s almost a quarter to half of the cost of concrete replacement. It is infinitely less messy than demolishing the defective slab and installing a new one. Replacement covers 4 or 5 days to a week, while mudjacking can be done in as little as 24 hours. In the case of driveway repair, the area in question can be safely used after four to six hours without incurring damage. Furthermore, since the filler mixture is injected through holes drilled into the concrete slabs, you won’t have to get stressed over having your fresh concrete work ruined by pets, kids or the unpredictable weather. The aesthetic appeal of your driveway, walkway or patio is preserved, and your landscape will be spared from the damage that slab removal and replacement inevitably brings about. Any reputable Edmonton mudjacking company will recommend conducting a thorough assessment of the area in question before starting the process. After all, slabjacking is not always suitable or appropriate for every project. Here are some important pointers that can help determine whether Concrete lifting is appropriate to your particular situation or not. Mudjacking can be a huge help in safely lifting heavier structures, but only when in the presence of slab piers. In other words, don’t not rely on it as the sole and independent solution for sunken floor slabs or footing. More often than not, slabjacking is not as effective as installing slab piers when it comes to floor leveling, especially when heavy partition walls or pillars are involved. Even if it is somehow or other able to lift a concrete slab, heavier areas with walls on top remain a problem. On the other hand, cheap grout pumping mixtures may not provide a lasting solution in particular cases of floor crack repair inside homes or buildings, and may only serve as a temporary fix. A house or building, and not to mention the permanent fixtures, appliances, and people in it, imposes so much weight on the floor underneath. Therefore, some less durable fillers are not sufficient in strengthening this base foundation and support, depending on expert assessment and advice. ​The voids and gaps may be filled temporarily for more level flooring. However, without slab piers or a stronger mixture such as crushed agricultural limestone, the soil underneath may still be prone to sinking in the long run. Eventually, this cracked concrete repair process will require repeating, until you have adequate financial resources to fund the more expensive yet necessary subflooring or flooring replacement. Consult a reputable mudjacking company in Edmonton and let the experts advise an appropriate mudjacking approach for the particular problematic area you have. Commercial mudjacking should definitely be left to the pros; but so should residential mudjacking. Failed DIY attempts cost you double the time and money. Therefore, seeking professional Edmonton mudjacking assistance remains your safest and wisest decision to make, for a plethora of obvious reasons. This specialized technique can only be accomplished using certain equipment, including mixers, drills, and pumps, most of which you may not have. Purchasing such equipment for the sole purpose of an occasional DIY concrete repair is not a very cost-efficient move. Mudjacking demands professional training, know-how and hands-on experience. Hiring a local contractor is best since they already possess adequate knowledge regarding local soil conditions and other relevant details. They also have specific considerations such as strategic locations of holes to be drilled, as well as the type of mixture to use depending on the area and the traffic and weight it receives. sufficient experience on such detailed and specialized projects. We offer the best mudjacking in Edmonton, with seasoned technicians who know what they’re doing, use up-to-date equipment and utilize only premium-quality void filler mixture that is resistant to shrinking. Don't delay. Give us a call for your FREE no obligation quote!